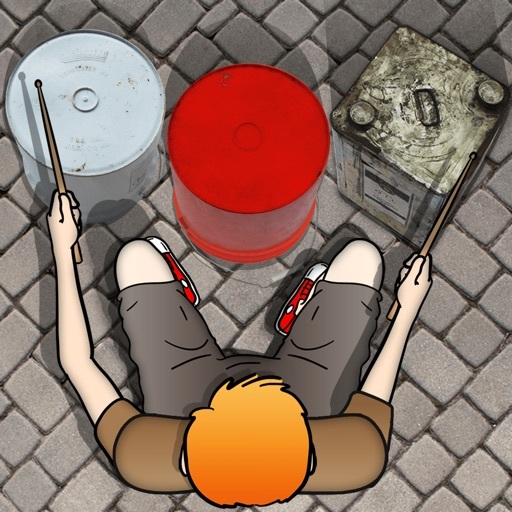 Grab your headphones and bang on pieces of junk that make great sounds all while our animated street drummer plays to your beats. In Jam mode, play drums to songs in your music collection. 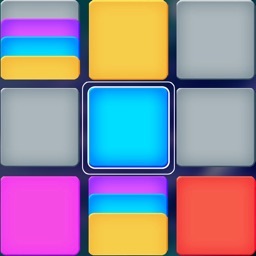 In Song Maker mode, tap out a pattern to be repeated as background for practicing your real musical instrument. 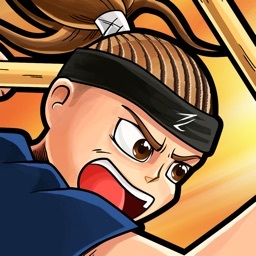 It’s your personal beatmaker with over 40 percussion instruments you won’t see or hear anywhere else. 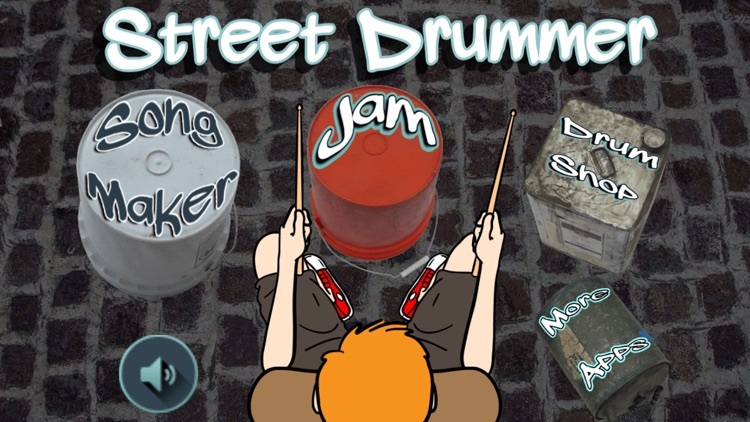 In Jam mode, tap the musical note to select a song from your collection… then Jam on the street drums! It’s great for rap, hip hop, rock, metal, country... limited only by your imagination. 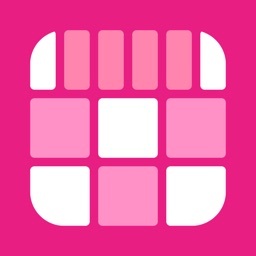 See how others use it on our Youtube channel. 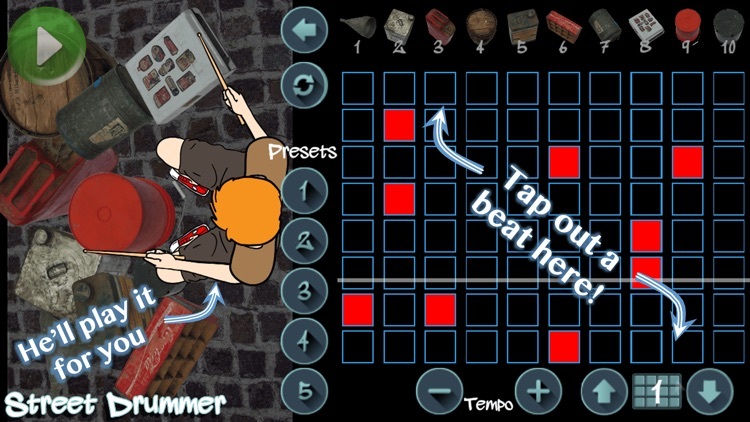 Create beats in Song Maker and then practice your piano, guitar, bass, or whatever musical instrument you like to play. 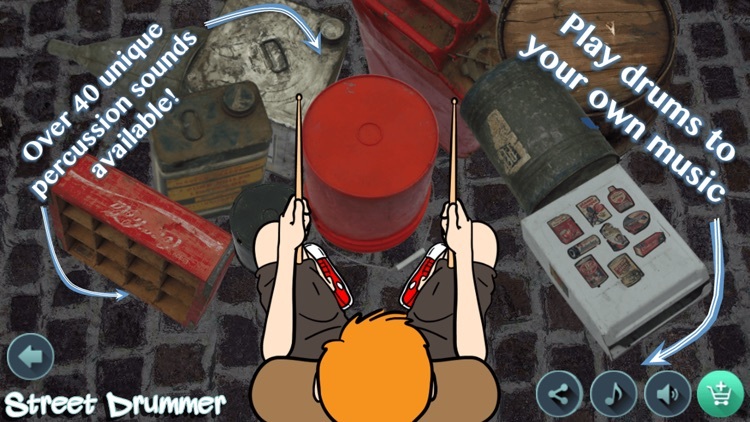 Now you have a drummer to keep the rhythm for you - like a metronome with attitude. 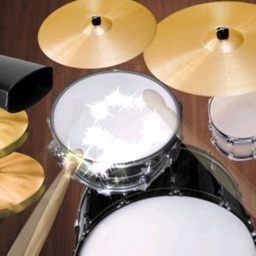 We get you started with a few drums. Just keep practicing to earn a few more. 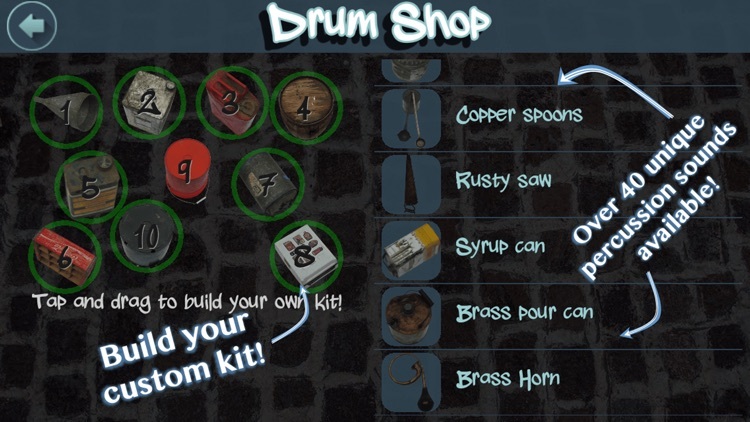 The drum layout can be fully customized and more drums are available in the Drum Shop.